The Holiday Season is approaching and that means dressing up for school events, for fancy family gatherings, and for family pictures. But it is also a time of the year to sew handmade dresses. 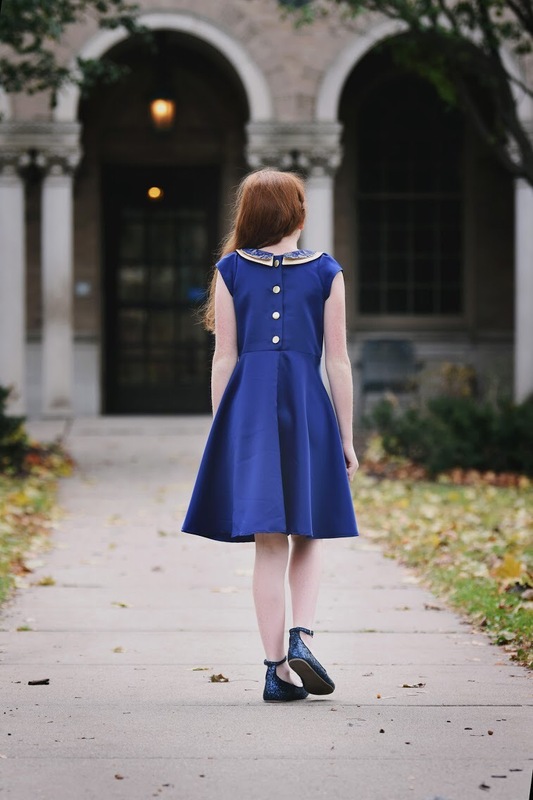 Dresses with classic features, timeless colors, and beautiful details. Dresses that will be captured in countless photos over the holidays. 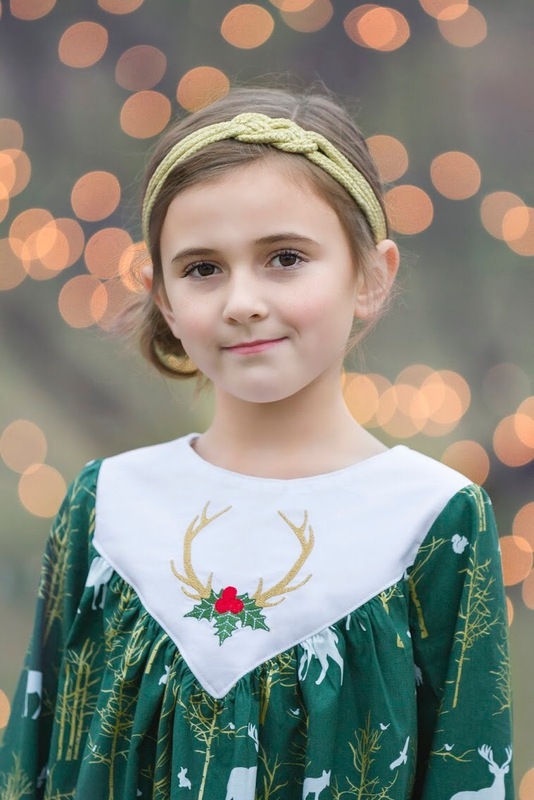 Dresses that will be later lovingly stored away and treasured in years to come by another little girl celebrating another holiday season and feeling special while wearing a beautiful handmade dress. 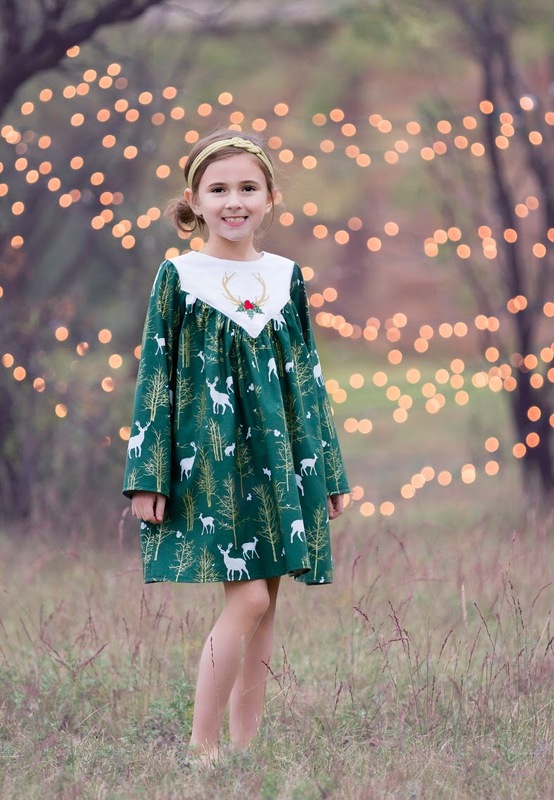 Elise´s vision for her daughter´s Christmas Dress was something simple yet sophisticated and the Ardenne dress pattern fit perfectly that description. She combined the Michael Miller Fabrics forest green and cream colored cotton fabrics and added eye-catching details by using decorative machine stitches and hand embroidery for the neck ruffle. 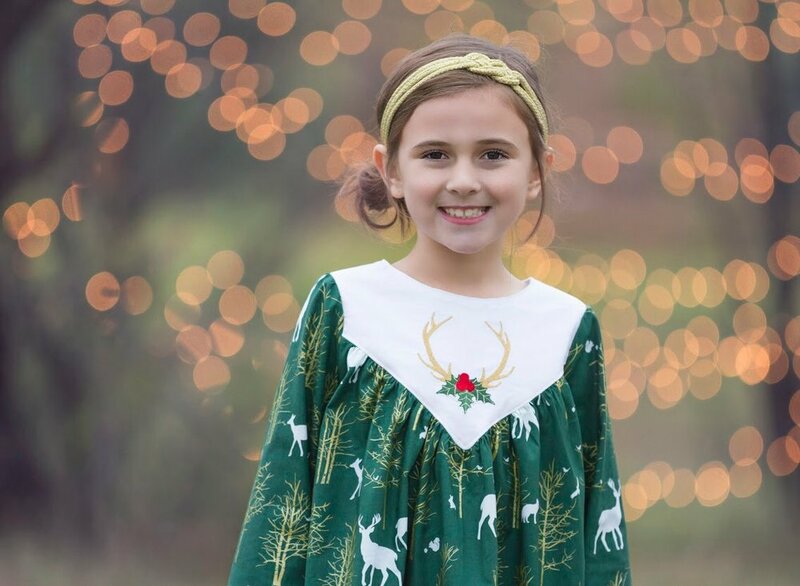 Molly created this "Oh Deer" Holiday styled Princeton Dress using fabrics from Michael Miller Fabrics and adding a lovely machine embroidery to the bodice front. 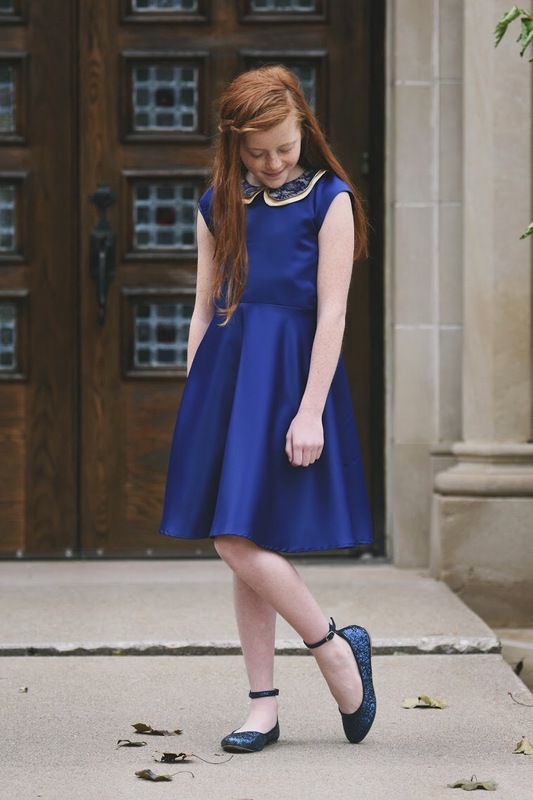 For the older girls the ruffles and twirl factor are no longer the number one priority when choosing a dress style but they love to feel stylish and "grown up"! 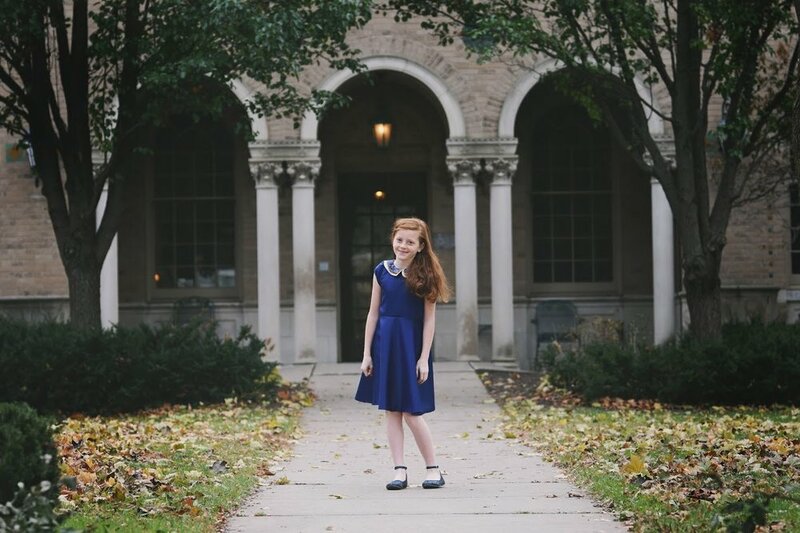 Jana modified the Double Scoop pattern slightly for her daughter by adding a double collar and a half circle skirt instead of the gathered skirt like the pattern states. The result is so elegant and timeless! Holiday magic, sparkle and shine...As depending on where you live, for some the holiday season means hot and sunny weather, even beach time! 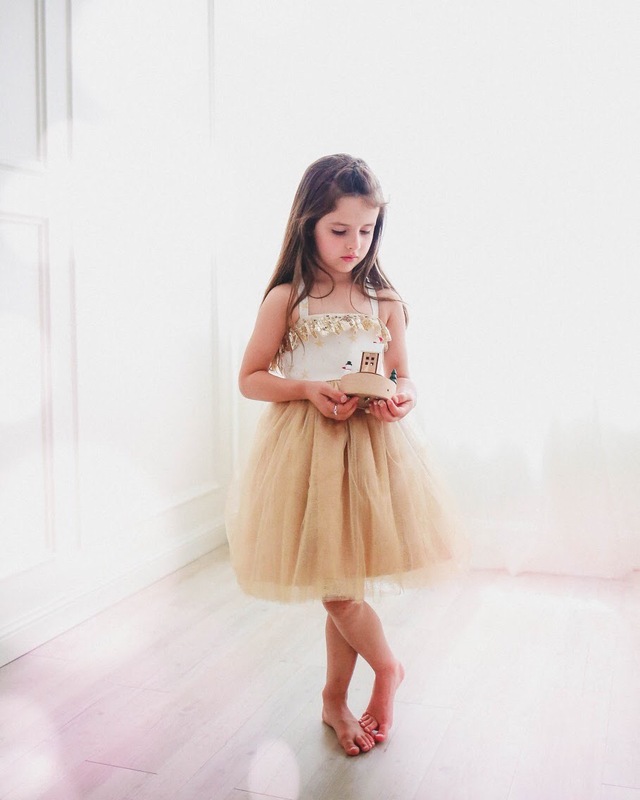 So Natasha chose the Elise dress pattern for her daughter and added a gold colored tulle layer for the skirt and a sequinned trim to the bodice. For the little ones the Holiday Season is simply magical....the decorations, the Santa visits, and the excitement of the Christmas morning! 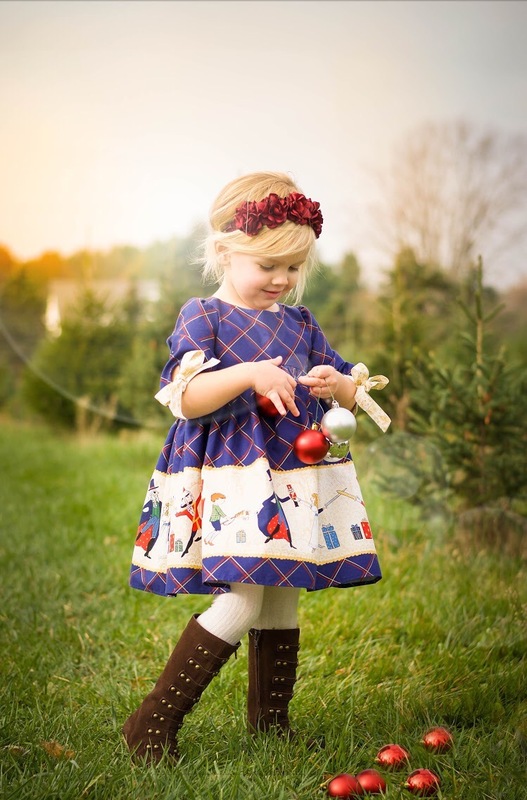 For a visit at a tree farm Rachel chose the Janie Lou dress for her daughter and found a perfect fabric for it, the Nutcracker Act 1 line by Sarah Jane. from Michael Miller Fabrics. And her son got a new Madison Vest! And what would be a better way to visit a tree farm than sharing the visit with friends! 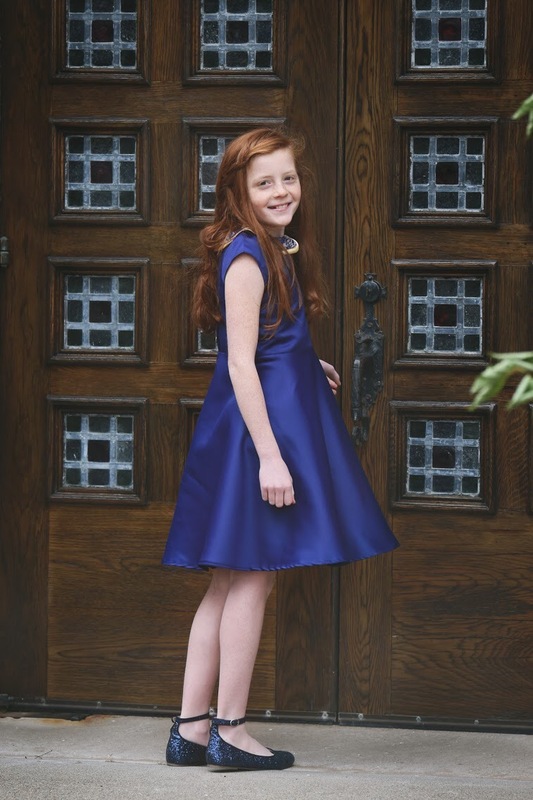 For her daughter´s holiday dress Amira used the Bristol pattern but modified it by adding a straight hem. See a separate blog post. Fabrics are also from Michael Miller Fabrics Nutcracker Act 1 line by Sarah Jane. Rudolf the Reindeer made an early visit and this little lady could not be more thrilled! Heidi modified the Monet pattern by adding an adorable double skirt and ruffle hem and paired the dress with a Perfect Ten Top. 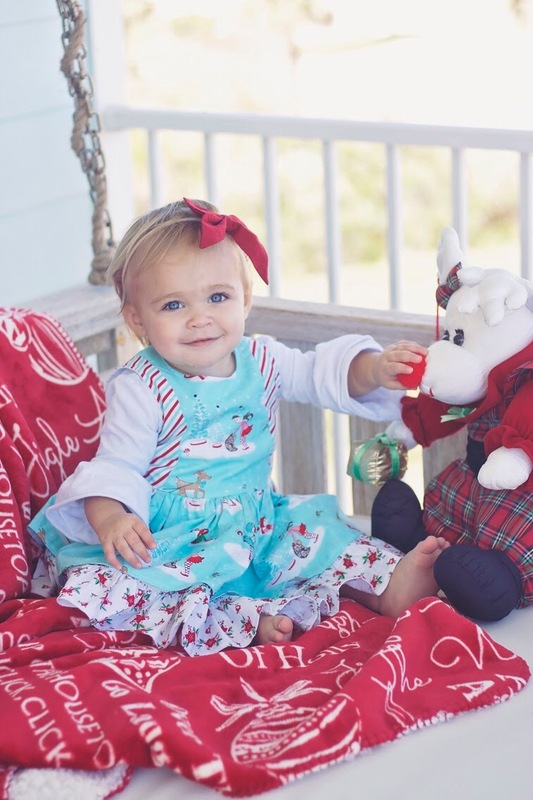 Sweet Christmasy fabrics from Riley Blake Designs. Time to decorate for Holidays? Yes, if you´ll ask this young lady! 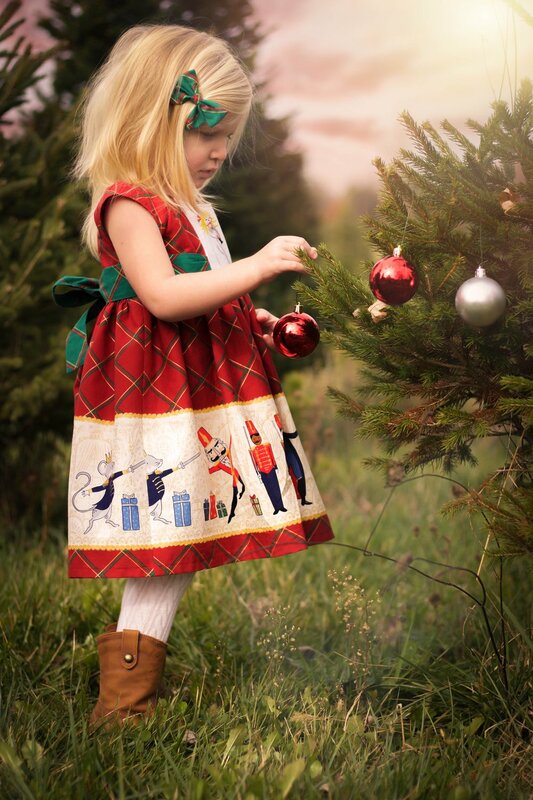 Jessica sewed a Bristol dress for her daughter who was busy decorating all the tree branches at her reach! 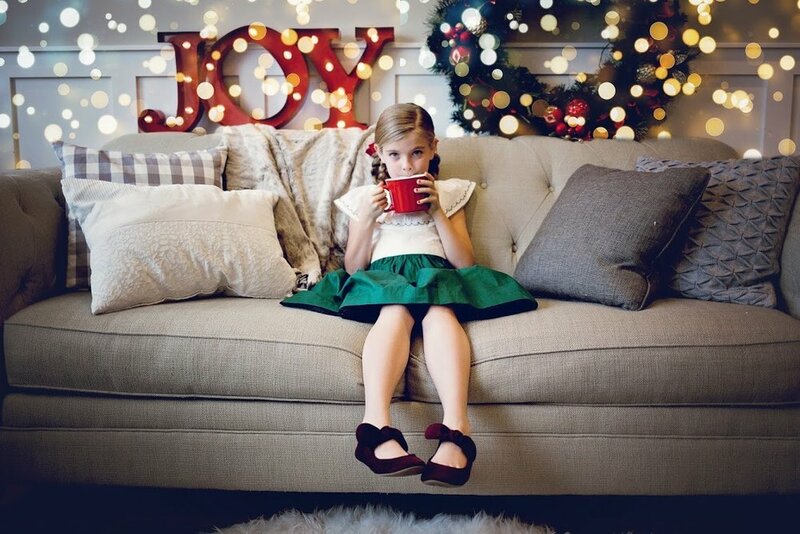 We hope to inspire you to try different patterns in Holiday Style! 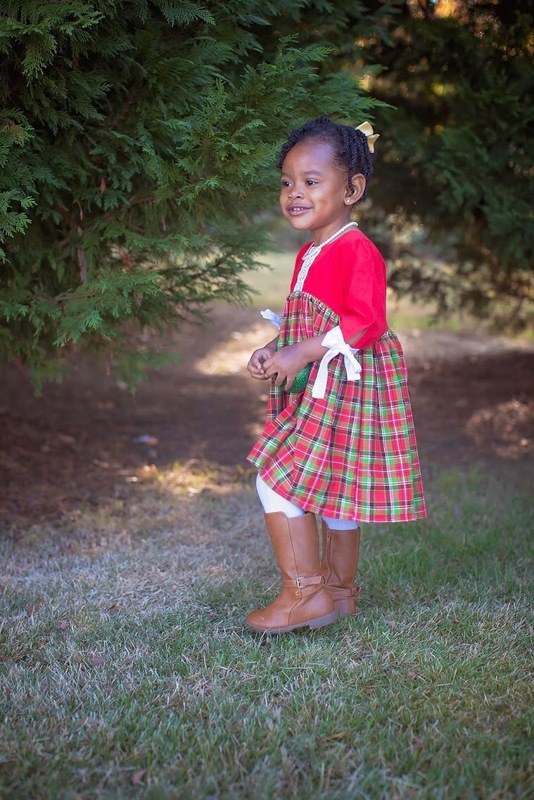 Whether sewing for little ones or for tween girls there are patterns that fit into each style!